Beautiful Branding, thoughtful UX, amazing photography. If its in pixels we make it look great. We also build sweet sites and apps. No stranger to marketing and big ideas too! Thanks. 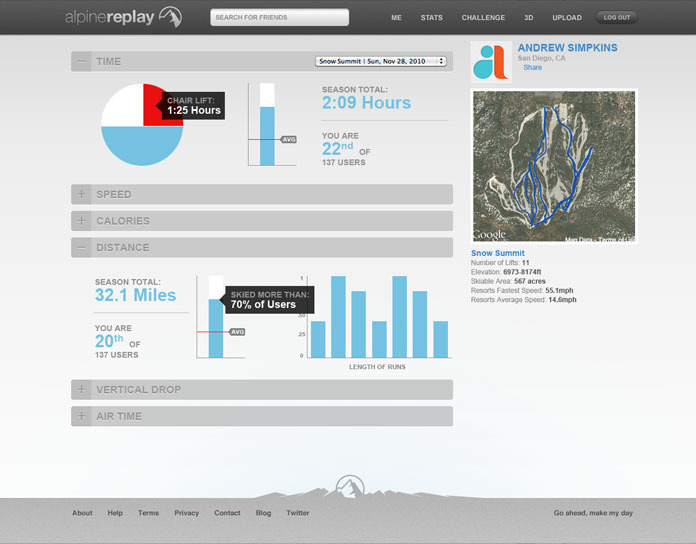 This is a shot of a dashboard UX we designed for alpinereplay.com. We also did the logo and mobile apps.